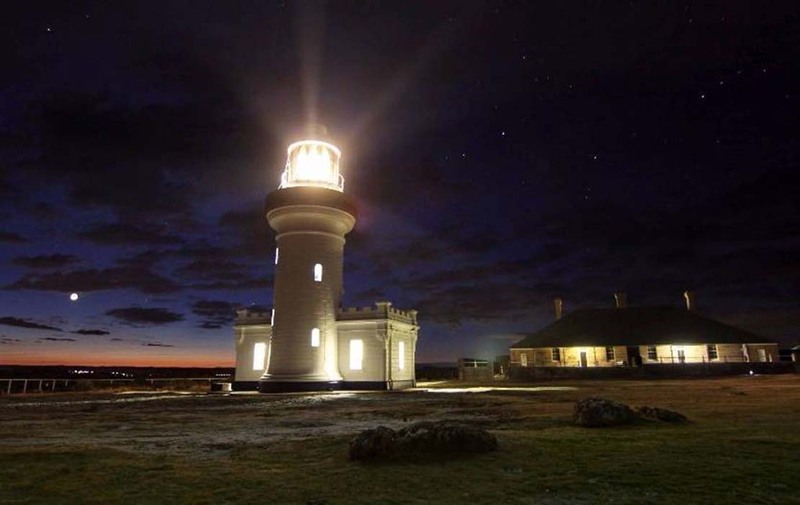 Point Perpendicular Lighthouse | Lighthouses of Australia Inc. The Point Perpendicular Lighthouse was established in 1899 to replace the inaccurately placed Cape St George Lighthouse. The original 1860 lighthouse had been built in the wrong position due to inadequate supervision by the authorities of the day. It was not visible to the northern approach at Jervis Bay and failed to warn of offshore reefs. 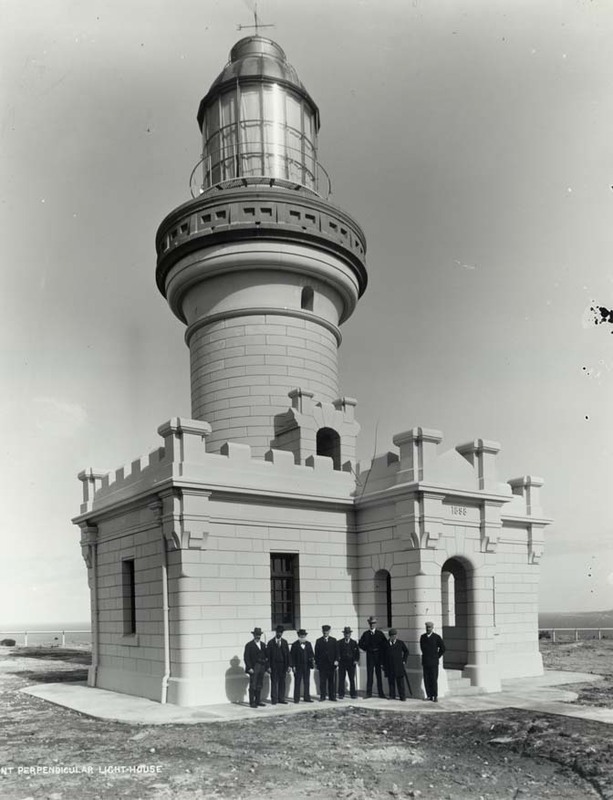 Even though when the error was realised it was intended to show a light at Cape St George only as a temporary measure it was not until 1898, over 30 years later, that work began on its replacement on the northern side of the entrance to the bay. This tower is believed to be a “first” in New South Wales. It is erected on a flat concrete base and is the first tower to be constructed of concrete blocks – made on the ground – lifted into position, then cement-rendered on both the inside and the outside. This building technique eliminated the use of heavy scaffolding and shuttering which is necessary for the “concrete poured” construction of towers. Most of the stores and materials for the new lighthouse were landed at Bindijine Wharf, constructed in 1898, on Honeymoon Bay inside the sheltered side of Jervis itself. They were then transported by horse and cart to Point Perpendicular. The original apparatus was vapourised kerosene, 100,000 cd with a range of 33 kilometres. The power was increased to 222,000 cd in 1909 and again to 316,000 in 1923. The light was converted to electric operation in 1964 with the installation of 2 diesel generators. When the light was finally replaced in 1993 the power was 1,200,000 cd. The new “lattice” style tower is solar powered and the lightstation has been demanned. There was much protest when the Department of Defence fenced off the area preventing public access to the lighthouse even though it had been agreed that access should continue. There have been mixed reports about what the current situation is though the restriction does seem to have been relaxed. Also the keepers complex was put on the market at this time and it is also not known what the outcome has been. The window above the main door is interesting as it displays the Waratah, the state flower of New South Wales, and the construction date of the tower. The light was first re-lit by Ian Clifford on Saturday 17 November 1999 for the Seafarer’s Festival Ball and to celebrate the centenary of Point Perpendicular. Since then it has been re-lit on several occasions during Lighthouse Weekend in August. William Parker was the chief lighthouse keeper and his assistants were William Simpson and Arthur Bailey. John Hampson was the last keeper and left in 1993. 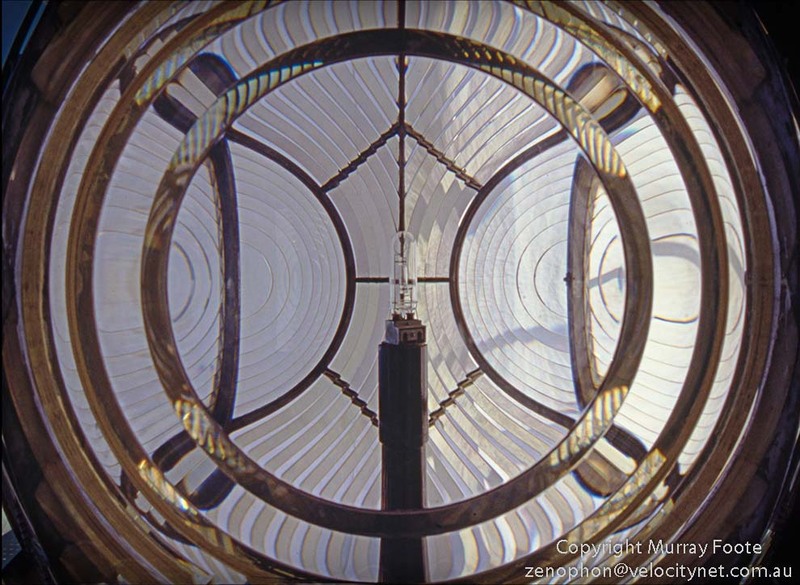 We need your help in compiling a list of keepers for this lighthouse. If you have any information then send it to keeper@lighthouses.org.au. Please include this lighthouse’s name, the keepers full name and what years they were keepers. Also include the same information for any other lights they were on. On 1 May 1999, the Point Perpendicular lighthouse celebrated 100 years since it was originally exhibited, although celebrations were not held until October 1999. The Currarong Seafare Festival incorporated the centenary celebrations, commencing with the Seafarers Ball on 15 October 1999, followed by an art and photography competition based on “a century of seafaring”. Celebrations were held at the lighthouse site on Saturday 16 October with activities including a Naval display, tours of the old tower, market day and children’s activities. At around dusk, the new lattice lighthouse was turned off and the original lighthouse was re-lit by Ian Clifford for the first time since its decommissioning. 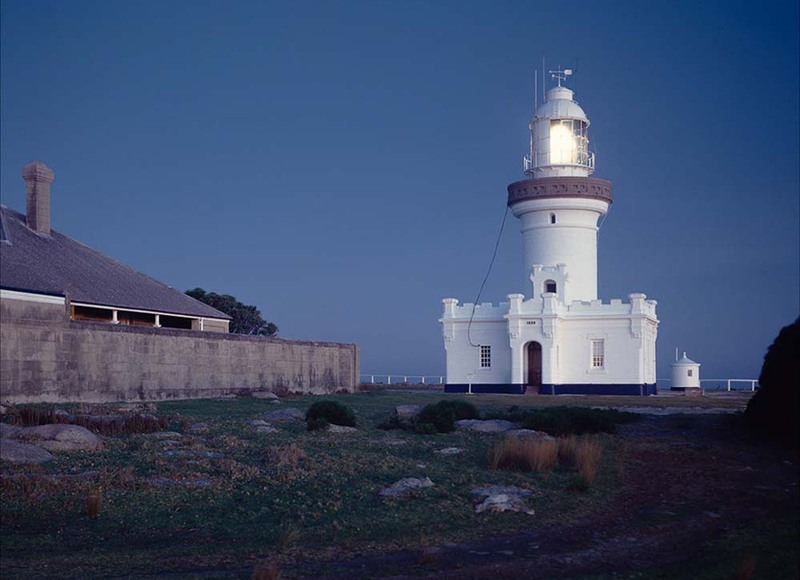 The lighthouse can be reached via Nowra and is at the end of the Beecroft Peninsula in the Jervis Bay Military Reserve. Access is restricted 110 days per year for gunnery practice. 200 metre walk from car park, then enter through side gate next to one of the keeper’s cottages. Only the reserve is open. The reserve is situated on the top of sheer cliffs (75m above sea level) and offers spectacular views, as well as opportunities for whale watching.